Cape Town - Orlando Pirates will be looking to extend their lead at the top of the Absa Premiership standings when they host Black Leopards at Orlando Stadium on Wednesday evening. Pirates currently sit level on points with Mamelodi Sundowns but occupy first position courtesy of a superior goal difference. However, Milutin Sredojevic's side have played a game more than the Brazilians. The league is Pirates' only chance of a trophy, having been knocked out of the Nedbank Cup, CAF Champions League and MTN8. The Buccaneers are coming off the back of a narrow 1-0 victory over Wits at Bidvest Stadium on Saturday, thanks to a 94th-minute Keagan Ritchie own goal. They will now go from facing title challengers to relegation battlers in their upcoming two fixtures. After Lidoda Duvha, the Sea Robbers play 15th-placed Free State Stars. Meanwhile, Leopards are in 12th position with 25 points from 23 matches. Dylan Kerr's charges fell to a 3-1 defeat against Polokwane City at Peter Mokaba Stadium on Sunday and have won just one of their previous nine league matches. However, Kerr will be buoyed by his side's Nedbank Cup first-round upset of the Soweto giants in Thohoyandou earlier this season. Pirates won the reverse league fixture between the sides 2-1 in Polokwane. Under Kerr's mentorship, Leopards are a much-improved outfit and if they had taken their chances against fifth-placed Rise and Shine on Sunday, they could easily have come out on top. They are a team that play a fluid passing game and in Mwape Musonda, they have the league's top goal-scorer with 12 goals. They enjoy knocking the ball around but have looked vulnerable on the counter-attack. 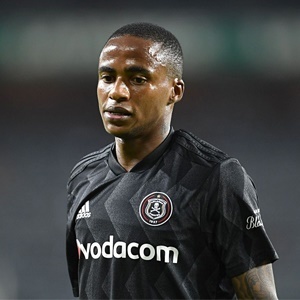 Pirates will be looking to exploit this vulnerability through their pacy attacking trio of Thembinkosi Lorch, Justin Shonga and Vincent Pule. Lorch returns from suspension and Pule from injury to bolster the Buccaneers. Xola Mlambo also makes his comeback from injury for Sredojevic's side. Although Sundowns are in the driving seat, there is real belief in the Pirates camp that they can claim their first piece of silverware in five years. “All of us believe, but we don’t want to speak about it. We want to focus on our next game on Wednesday. There are five big matches ahead of us," said Sredojevic. But the Serb tactician knows it won't be easy with Leopards and Stars desperate to avoid relegation with pride on the line.